Welcome to Axiom PT & OT Pluss resource on Temporomandibular Joint Disorder. Your Physical Therapist at Axiom PT & OT Plus will take a detailed history of your symptoms in order to diagnose your pain. They will ask about how long you have had your symptoms, and if there are any factors that aggravate your symptoms such as eating certain foods or performing specific movements such as yawning, chewing, or closing your mouth. They will also want to know if anything in particular eases your symptoms such as ice, heat, or massaging over the joint. Your therapist will want to know exactly where your pain is, if it radiates anywhere, and if you are taking any medication to ease your discomfort. They will also ask you about any dental problems or work you may recently have had done. Your therapist will inquire about whether your jaw ever gets locked into a position and will also inquire about how comfortable your bite feels or if you have noticed a recent change in your bite. As mentioned above, many other problems can produce similar pain as a TMJ disorder does, so your therapist will also need to ask you questions about your general health and will want to know if you have had any other recent illnesses, muscle aches, pains, or related symptoms. Treatment of TMJ problems can vary greatly depending on the cause of the problem, as well as the type and severity of symptoms you are complaining of. Physical Therapy treatment at Axiom PT & OT Plus can be very useful in managing your TMJ problem or alleviating your problem all together. Often our treatment also involves the conjoined effort of your doctor, and your dentist (or orthodontic specialist). Medications prescribed by your doctor can be very useful as a pain relieving adjunct to our treatment at Axiom PT & OT Plus. In more chronic or extreme cases your doctor may even choose to do a joint injection of an anti-inflammatory or pain relieving medication into your TMJ. If required, your Physical Therapist may also work with your dentist or orthodontic specialist to determine if a mouth splint or dental work is needed in order to assist with your TMJ issues. Physical Therapy treatment at Axiom PT & OT Plus can be very useful to manage your TMJ symptoms or alleviate them completely. Several Physical Therapy modalities can be useful in decreasing your pain. Your therapist may use ultrasound, laser, transcutaneous nerve stimulation (TENS), or other electrical modalities. In addition, ice or heat are simple but effective ways to provide relief both while you are at Axiom PT & OT Plus and while you are at home. Acupuncture has also been shown to be an effective method of pain relief. 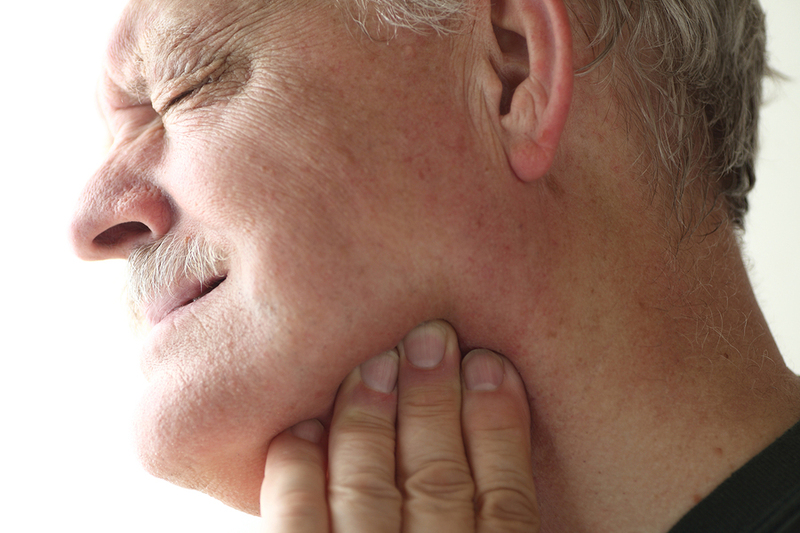 The TMJ is an important joint for basic actions such as speaking, yawning, and chewing. A disorder of the joint can be very debilitating but Physical Therapy at Axiom PT & OT Plus can assist you in alleviating your pain and managing your TMJ problem.